When I first moved here five years back, the homes in front were bare.Their rooftops had a few plants but balconies which faced me made me sigh.Why didn’t they have a few green plants to grace them? My hubby insisted there were practical reasons, like letting clothes get sun-dried(that’s more eco-friendly and healthier option than a drier ).But those beautiful sunny balconies lying bare, made my brain go into overdrive.I used to stare at them and imagine how pretty they would look with different plants peeping here and there. Guess what? The Gods were listening.Though they don’t have a balcony garden, now they have a two story high climber which is bursting with beautiful pink flowers,.They are a pleasure to behold, on hot sultry summer afternoons.My green balcony is always restful, but now I peep outside from between the leaves of my Chikoo tree to see the climbing beauty just across the street.It’s called Madhabilata in Bengali. Sharing the balcony views from indoor. The first one faces south and the second one faces north (more or less). When the late afternoon sun filters through the green leaves they make me happy. Balcony garden image with Chikoo plant.They are small now .The size of a five rupee coin .But growing . When I see a hummingbird dancing from one branch to another, a butterfly sitting on my flowers, a sparrow trying to eat my chikoo.I know it’s all good. Life is supposed to be this way. When you find what you are seeking, things just fit. When they don’t fit, it’s not meant to be. Plants animals, humans and nature needs to live in harmony. That will create the right environment for health, wellness, and prosperity. Linking up with Parul’s Thursday tree love.I am taking my Alexa rank to the next level with #MyFriendALexa and Blogchatter. I am taking my Alexa rank to the next level with #MyFriendALexa and Blogchatter. 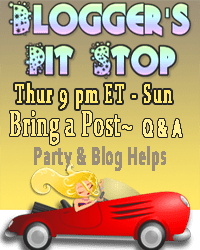 Linking up with Bloggers pit stop. Your balcony garden looks so flourish with the green did the chikkoo plant gives fruit? What a paradise to see nature’s love in form of greens. I love your gardening posts. This is very NYC. Love all your nature inspirational quotes. I love balcony gardens and like you, I don’t like bare balconies too 🙂 Thank you for joining, Amrita. Yes you have to choose the right plants which have less of these creepy crawlies. It won’t be hyperbolic if I say that’s paradise seeing nature’s love at your door step (window here) With your nature calling posts I can visualise the colours and happiness, soothing feeling it gives you after a tiring day at work. Lovely job indeed Amrita.. love your posts.